This newly refurbished downstairs unit will provide a relaxing stay in the stunning surf town of Whangamata. Only a minutes walk to the safe swimming beach and harbour, and only a couple more to cafes and shops. Park the car and boat right outside and relax in this comfortable setting on Harbour View Drive. 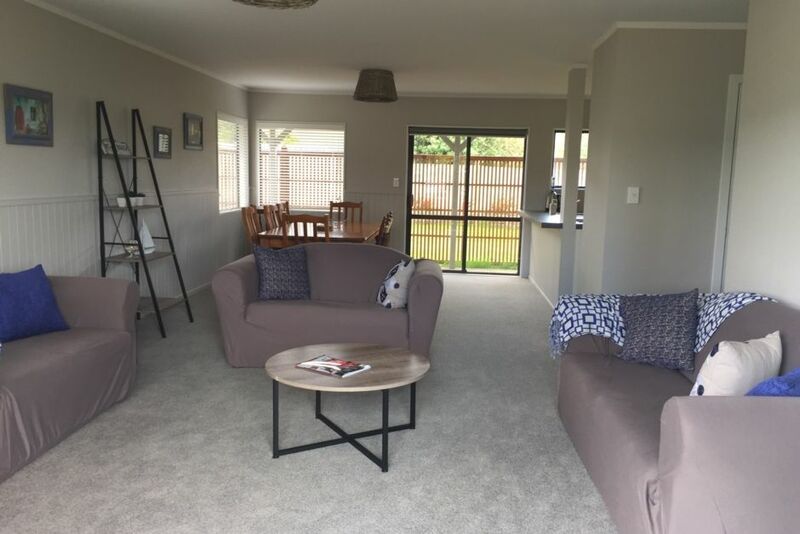 Newly refurbished, clean and tidy so just relax and enjoy all that Whangamata can offer. Open plan living area, new bathroom and well sized bedrooms allow plenty of room for the family. Sit around the big kitchen table and enjoy that fresh fish or jigsaw puzzle. Whangamata has many tourist attractions, hire kayaks, paddle boards or fish off the wharf. Enjoy hiking or mountain biking in the native forest, or walk out to Hauturu Island at low tide. Thank you so much, we had a great holiday. Accomodation was excellent, comfortable, close to beach, shops. Brilliant, be back again sometime. We loved our time here, perfect location close to beach and town! Great place! Perfect location! Enjoyable stay! Loved the location. House is well equipped with everything needed. Clean and tidy! Beds were a bit hard. Otherwise perfect stay! Loved our stay here. Fantastic location close to town, the port, the beach and the playground. The accomodation was spacious, clean, tidy with everything you could need and loads of crockery (makes meal times easier with use of the dishwasher). Even puzzles, games and a pack of 'Old Maid'! Will definitely love to go back. Great 3 bedroom unit , modern decor and kept clean .